Upon arrival at Leh Airport and transfer you to the hotel. Have complete rest for the full day for acclimatization of the high altitude harsh climate of Ladakh. go for local sightseeing Indus valley monasteries tours to famous monasteries of the region like Shey Palace, Hemis Monastery and Thiksey Monastery. Later in the evening drive back to the hotel. Have dinner and stay overnight at the hotel. Dinner and Night stay at Hotel. Breakfast at the hotel. 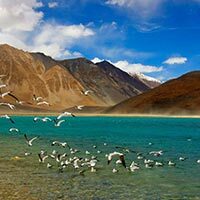 Enjoy full day excursion to the beautiful Pangong Lake, located on the Indo-China Border, en route crossing the Chang-la pass (alt: 17370 ft.). 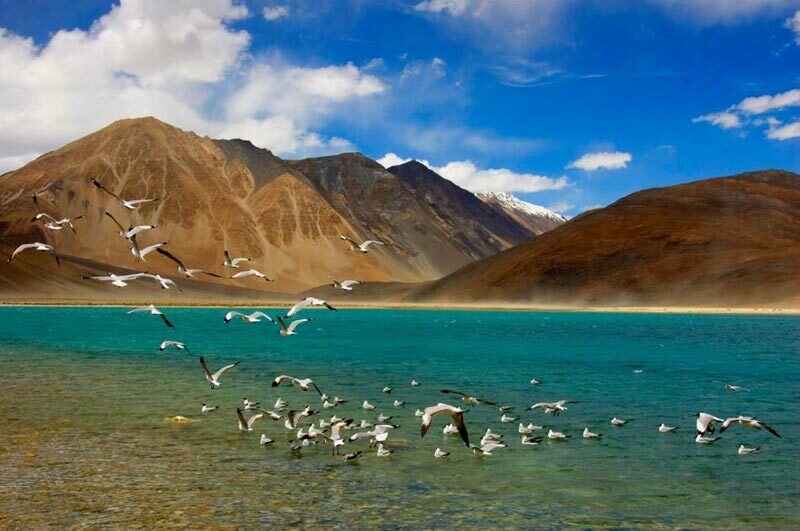 After sightseeing around the lake, drive back to Leh reaching in the late afternoon / evening. Dinner and overnight stay will be at the hotel. Breakfast at the Hotel. Later leave for Nubra Valley, driving across Khardung-la (alt: 18,380 ft). After descending from the pass, drive on for sightseeing of Sumoor area and Samstaling Gompa. Later check into a fixed camp in the same area or drive across to Diskit / Hundar for overnight in a fixed camp or hotel for dinner and overnight stay. Early Departure from Leh, travel to Kargil (8200+ ft asl) via Leh - Srinagar. Upon arrival Kargil via Zojilla pass & Drass region. Dinner and night stay at Kargil. After breakfast drive back to Leh. Upon arrival Leh check in at the hotel. Rest of the day at leisure. Enjoy dinner and have restful overnight stay at the hotel.